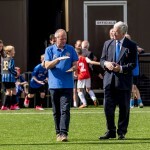 Michael recently attended a Swanley FC football training session to show his support for a new initiative to provide young people in Swanley with free access to a range of sports around the town. The initiative is funded by Kent Police and the Crime Commissioners Office under one of PCC Mathew Scott’s grant initiatives. The programme is designed to get young people involved in positive activities and provide them with just a taste of what activities Swanley has to offer. Each activity runs for 6 weeks and the Town Council are currently providing Football on Wednesday afternoons and Saturday Lunch Times, Boxing Sessions on a Tuesday Evening and Survival Skills on a Saturday. Working with the local Rugby Club, Junior Rugby Sessions will be available from March along with Tennis provided by a local Tennis Coach. Michael attended a training session for 5-7 year olds run by Swanley FC coaches. Michael said: “It was great to see such enthusiastic kids even in driving rain. Getting them outside is the key. Let’s hope some will go on to play for local youth teams”. 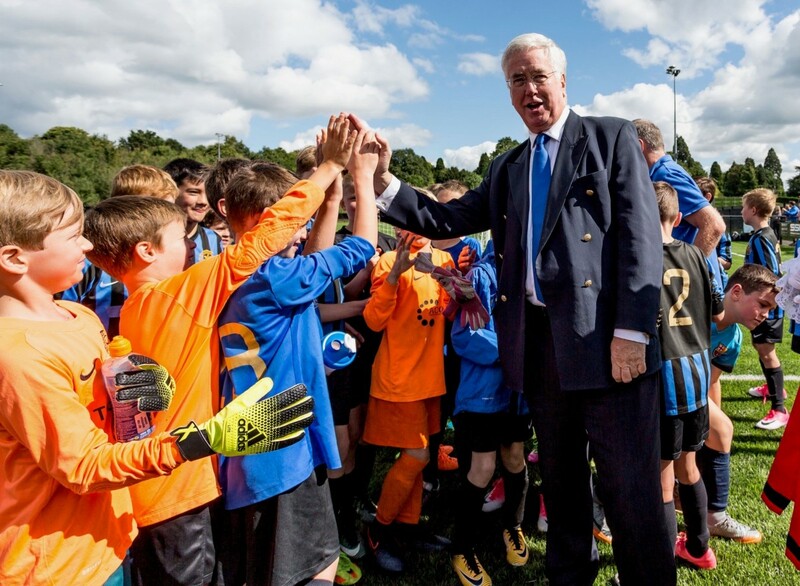 The funding has so far enabled six coaches to train in Football and Rugby, and 50 young people each week are learning new skills. In addition to free sports sessions, the funding will pay for equipment such as rackets, trainers and sports strips, and will contribute to the transport costs of getting young people where they need to be. 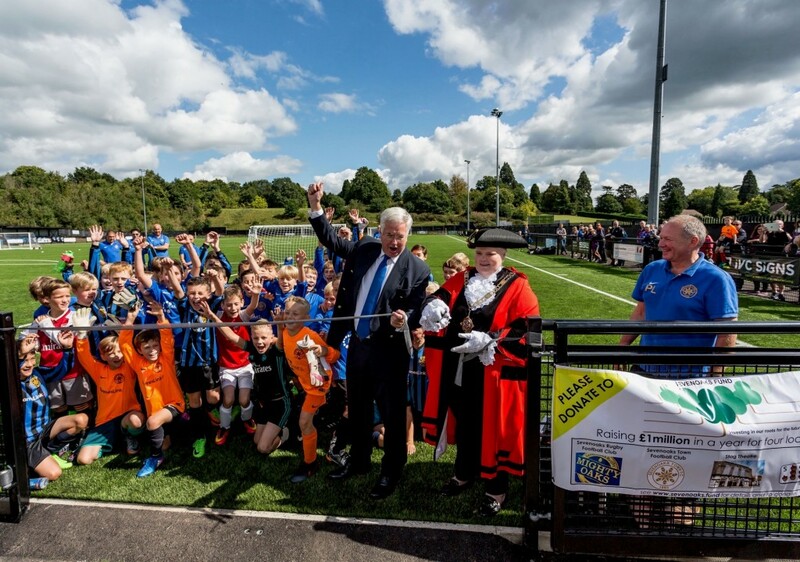 On Saturday, Michael officially opened the new 3G Football Pitch for Sevenoaks Town Football Club at Greatness Recreation Ground. At the well-attended event, Michael congratulated the club Chairman, Paul Lansdale, the staff and players, the Council and the sponsors. He then helped cut the ribbon with the Mayor and some of the players. 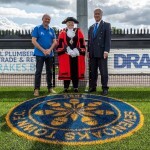 The innovative new pitch was recommended by Sevenoaks Town Council as part of their Sevenoaks Sports Strategy and costs £400,000. The funding was achieved through a £70,000 grant from Cory Environmental Trust Britain, a £130,000 donation from The Sevenoaks Fund and a £200,000 donation from the Town Council. 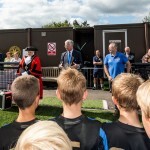 The new floodlit pitch will be used by Sevenoaks Town FC’s 60 teams and local primary schools free of charge.